And listen, it’s a miracle I was even able to finish and publish this post today. We went to a wedding on Saturday night, and I had far too much fun. Ya feel me on this one? I have never been one to tolerate alcohol well, but I was having a blast and thought I’d be fine. The alcohol gods reminded me, yet again, that they are always against me. But all would be well, once I climbed into bed before 8 pm last night……until around 9:30 pm when Samarah woke us up with the most shrill scream. Ryan and I jumped out of bed so fast into the room she and Maya share. Ryan, “Samarah, what’s wrong?” And then there it was – a bat – flying in and out of their room. Yes, you read that correctly. A BAT. I about threw up. When it flew out of the room, we slammed the door shut. Samarah was hysterical, so she hid in the closet. Don’t worry, I took motherhood like a champ and hid with her. Goodness. Ryan snuck out, and about a half hour later, he had killed it, and it was over. Maya was out immediately, Isaiah slept through the whole thing, and Samarah was partly traumatized (even had to go outside with Ryan to see it dead in a box), so we let her sleep with us…..which never makes for a restful night. Second bat in this house in a week. I. Just. Can’t. Have I told you that the move out date cannot come quickly enough?! So here we are…..gluten free recipe time. Booze, bats, ‘n food. Welcome to life. I am still doing recipes for clients, but I am doing much more creative strategy and food plus packaging photos currently vs. a ton of recipes from start to finish (recipe ideation through finalization). The recipes I’ve worked on during these past 6 months have been lighter by nature because they were for spring and summer. I am hoping to create at least a few brand new ones for fall and winter because fall is, by far, my most favorite time of year. Remember Let It Be Fall? In fact, I’m working on some delicious beverage concepts for fall that I’ll share as soon as they are ready. For today, I hope you’ll love these 14 gluten free recipes. 3-Step Iced Coffee. The basics of an iced coffee. I loved shooting this one. 6-Ingredient Energy Bites. Not only do these use minimal ingredients, but they are super simple to make. After I made them, I kept them in the fridge so we could grab ‘n go with them whenever someone wanted a quick snack. If you want to make them a Nil Sugar snack, simply use 100% cacao nibs and use the Lakanto Maple Syrup. 6-Ingredient Campfire Ramen. Who said you can’t have a high-quality ramen dish? I proved it with this one. It can be made over a campfire or on the stove at home. 9 Simple Ways to Boost Your Plant-Based Milk. Many of these recipes (and ideas) were created for my client Elmhurst Milked. I am telling you – there is no plant-based milk on the market like theirs (from all angels, but for you, my Gusty friends, from a gut perspective). To prove it, just look at their ingredient list – 6 ingredients or less – and the unsweetened line has just TWO ingredients: nut + water. It’s incredible. This post is just a creative one for how you can take the plant-based milk and instantly boost it. Adaptogenic Matcha Latte with Milked Cashews. 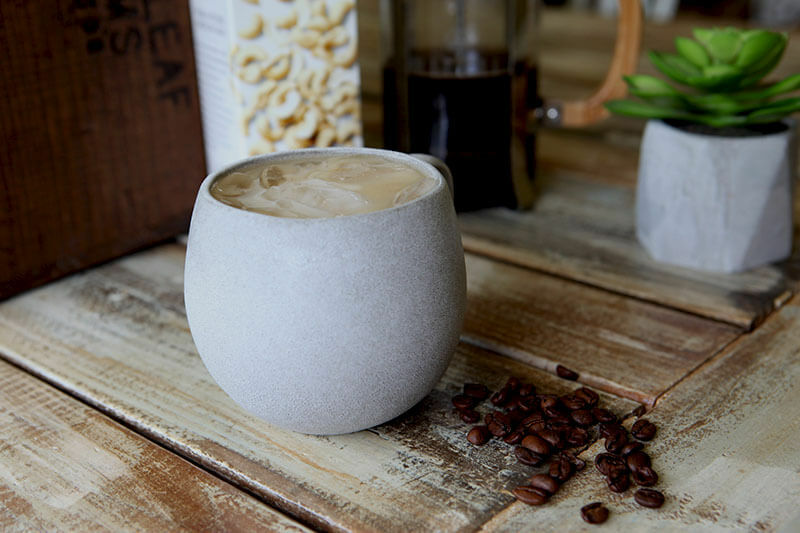 Everything about this latte is worth trying! Listen, I know there are other Cashew milks on the market, but they are gross in comparison to the Milked Cashews. Try it and report back. Chunky Monkey Nice Cream. I have shared this recipe a few times, but it’s on this list again because Y’all love it and it’s low-FODMAP. 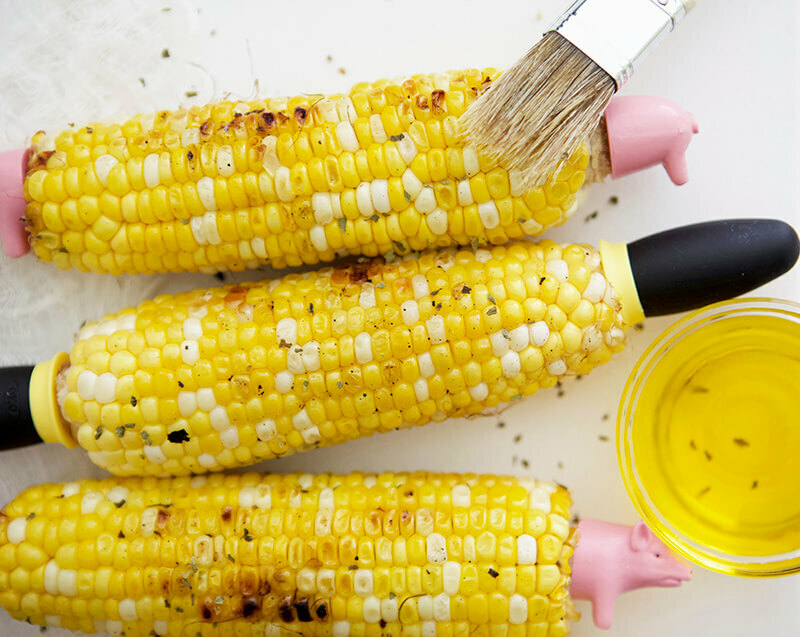 Corn-on-the Cob with Buttery Coconut Oil. There is no recipe for this one, but I just loved how basic this was. I grilled this corn-on-the Cob on the stove, and then we splashed Buttery Coconut Oil all over it. By the way, I know I’ll get questions about the adorable piggy holders. I got them HERE. Green Smoothie. Get all your greens in one smoothie. This one is refreshing. Layered Chocolate Peanut Butter Pudding with Peanut Milk. Holy cows…..this recipe is so good. 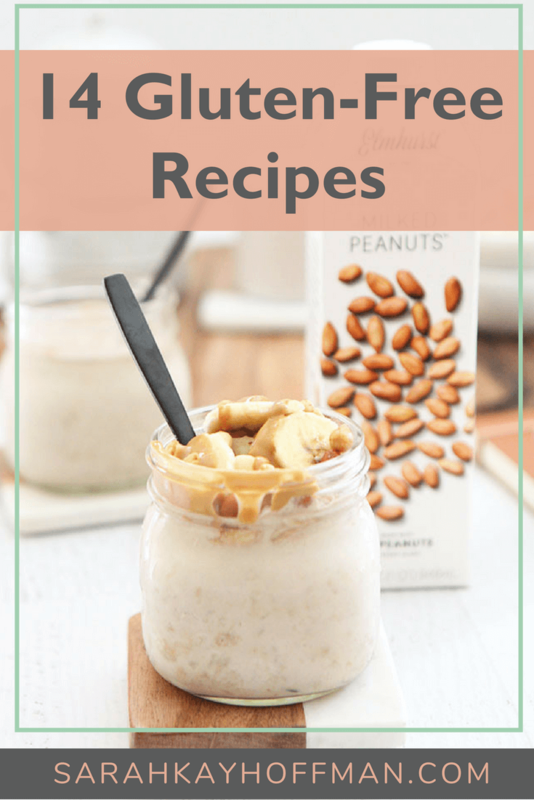 It (along with the Peanut Butter Banana Overnight Oats below) was one that Ryan said, “Definitely worth making again.” You could make it for breakfast, but we have it for dessert. Minnesota Sushi. You remember this recipe, yes? If you haven’t tried it yet, you should. 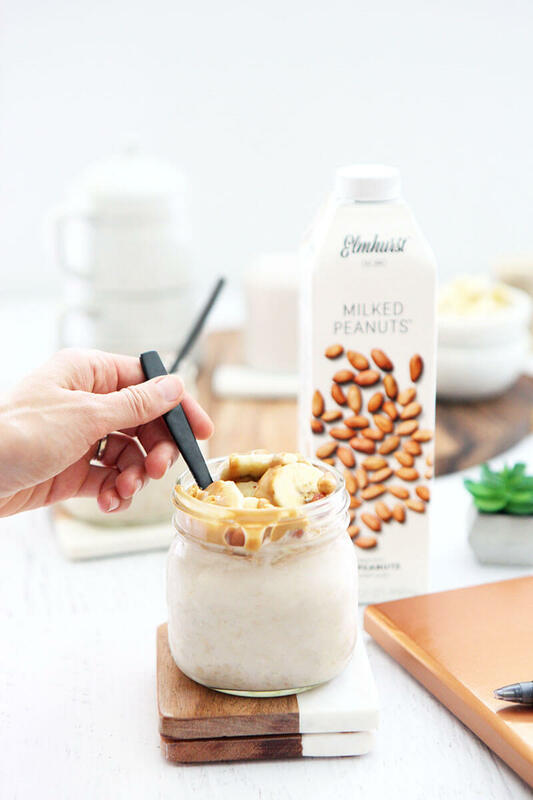 Peanut Butter Banana Overnight Oats. If you do okay with peanuts, you must try this recipe. 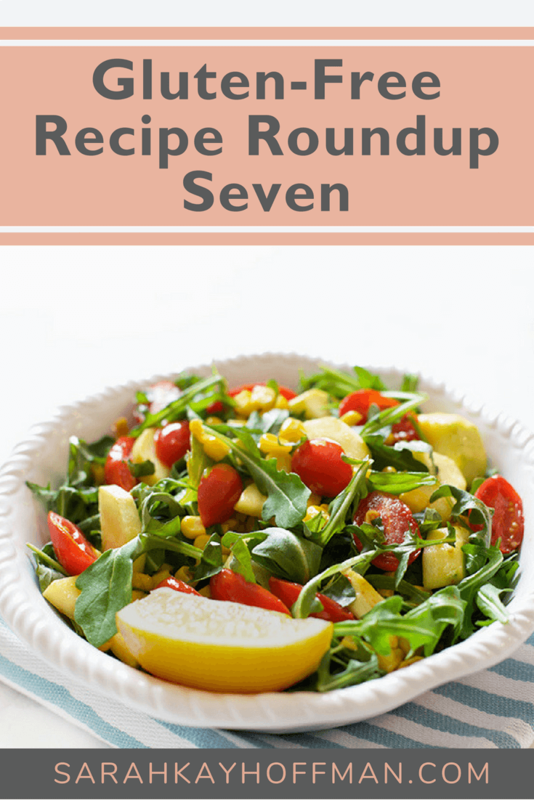 It’s another gluten free recipe roundup seven favorite, and it will be on the rotating schedule of breakfast options when Samarah and Isaiah go back to school. A huge hit at our house! Simple Cafe Au Lait. Super basic, and totally awesome. This “recipe” was more for the images, but even still, take the idea and make one. Strawberry Shortcake for One. If you remember, this recipe took me forever to perfect, but I was so glad I did. Dang it’s a good one. Warm Summer Salad. Cold meets warm for the perfect, light and gluten free salad. There is nothing complicated about this salad. You can leave out the ingredients that don’t work for you, if needed. Interested in having me create something specific? Just CONTACT ME, and I’ll see what I can do. And be sure to share this post on Facebook for friends and family who need some new, gluten free recipes.